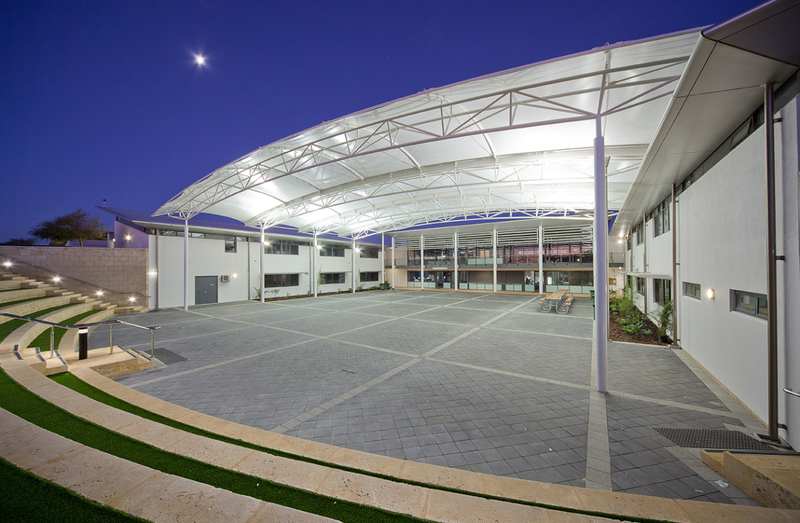 The new Covered Area at Irene McCormack Catholic College in Butler, Western Australia, is an economical, naturally ventilated structure that provides shelter for up to 1800 people. It spans between existing learning blocks and accommodates full school assemblies as well as a range of other activities. 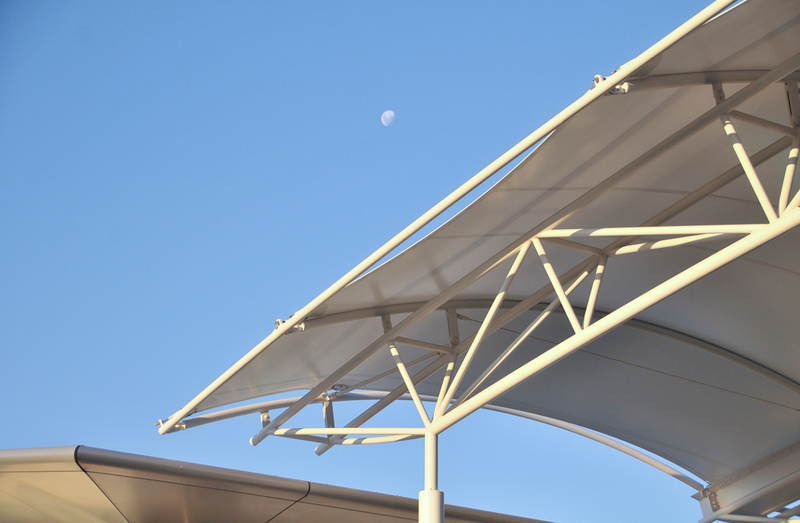 The design of the new covered area took into consideration the elevated school campus site, which is particularly exposed to the harsh coastal climatic conditions. To contain cost and achieve a high level of durability and finish, a completely prefabricated & shop finished structure was designed & constructed. 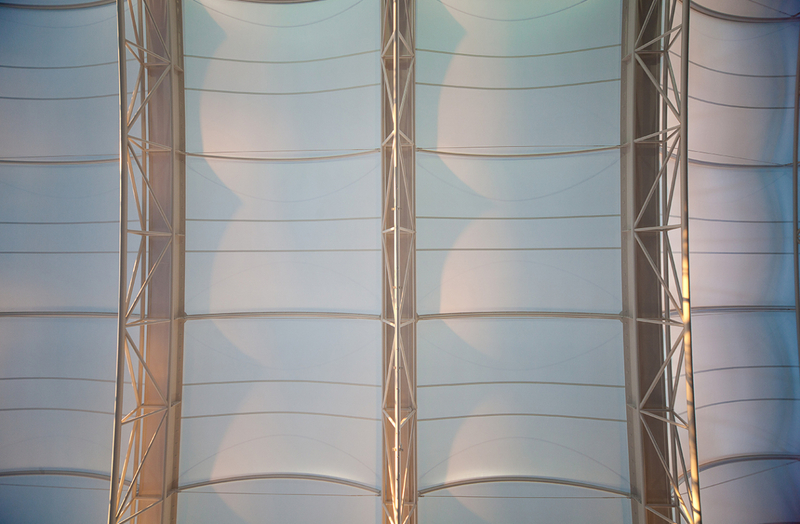 The design incorporates ten slender high tensile steel columns supporting five curved steel trusses linked with ribs and covered with tensioned Teflon fabric. 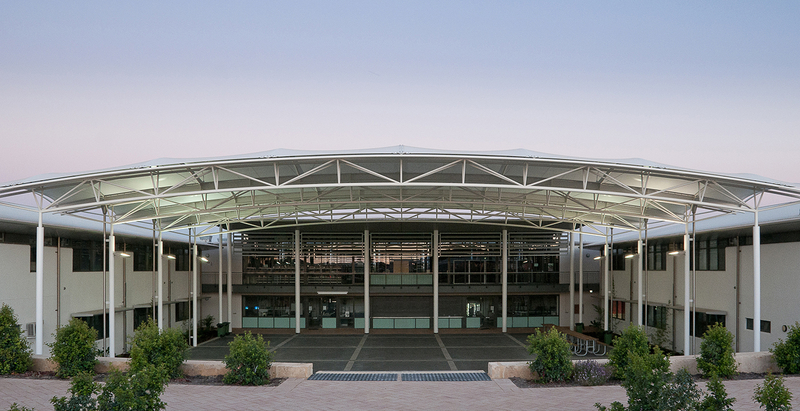 The structure spans between three buildings of varying heights and provides a light filled, naturally ventilated, open and unencumbered space suitable for a full range of uses. Up lights on the columns illuminate the fabric structure allowing the area to be used at night. Provision has been made for stage lighting and audio visual systems to facilitate a full range of uses. This project is the recipient of the 2011 Australian Institute of Architects Commendation for Small Project Architecture.